Donald Judd’s Standing Writing Desk. Every now and again I get email that should end up in my spam folder but doesn’t. Once in a great while one of those emails contains a curiosity that leaves me wanting more. 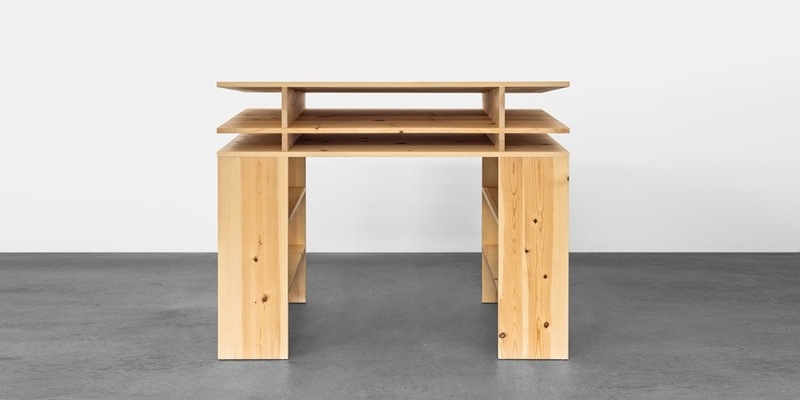 Case in point, I got an email about artist Donald Judd’s Standing writing desk. I think, but I’m not sure, there is a distributor in Germany that is now offering this iconic piece of furniture. Schellmann Furniture has the desk listed. 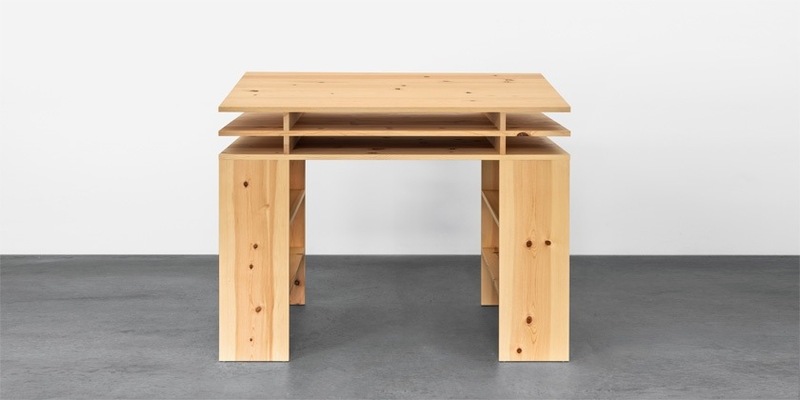 It’s filed under the category “Artist Furniture”, which makes me wonder if it is Donald Judd’s desk? At the same time at the bottom of the web page it says “Produced by Judd Furniture”. If you go to the Judd Foundation site, they offer two standing desks, but not this one. It is a mystery that involves some further digging. If you are unfamiliar with the piece, the standing writing desk designed by Judd in 1984, was a groundbreaking work of furniture design, that featured clean minimalist design with plenty of storage, a large work surface. When you look at the images of it, you can see why it is such a special piece of work from Judd. It has such harmony and balance. Below are a few images and the listing from Schellmann. 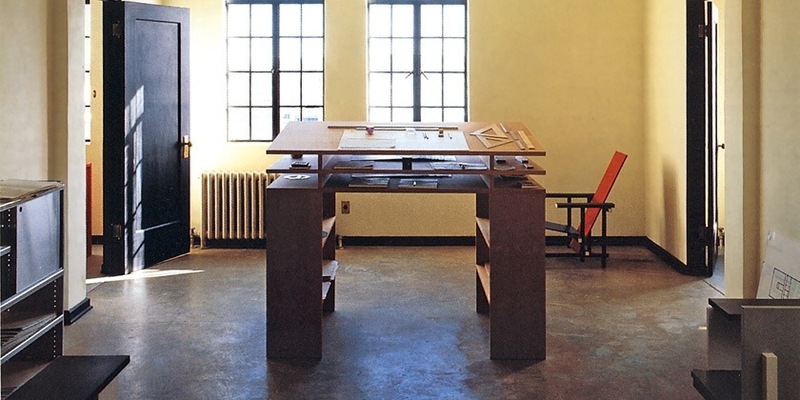 By Donald Judd, New York and Marfa (1928–1994), we show a standing desk from 1984 as a quotation from his body of furniture. Like many of his other pieces of furniture, its simple formal language had a considerable impact on present-day artists and designers. ← Blank Slate, from Gestalten. Check out the Red and Blue chair in the background. The Red and Blue chair is a 1917 De Stijl design by Gerrit Rietveld.